In the beautiful place Vidaliæi we rent three apartments of 50 m2 for 2, 3, 4, 5 or 6 people, with kitchen, living room and bedroom, large terrace, air conditioning and its own entrance. Parking is in front of the apartment. The house has a large garden, barbecue and outdoor shower. We are located 100 m from the beach, restaurant and cocktail bar. 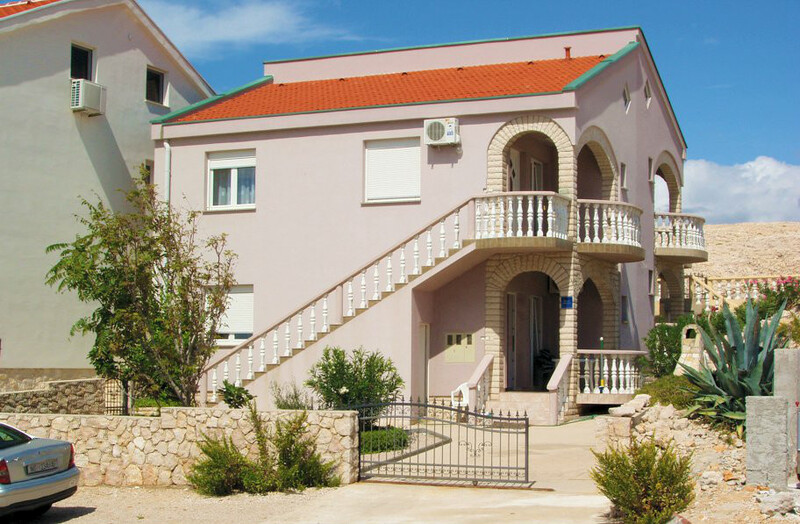 It is ideal for families with children due to the fenced garden, but also for young people because of the proximity to the beach Zrce and Novalja (3 km). From the nearest airport we are only 1 hour drive. In July we offer a special discount for all guests. N +44° 32' 25" | E +14° 56' 52"